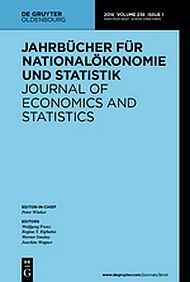 The study provides an analysis of the effect of migration and commuting on regional wage disparities. For the analysis most variables are taken from the INKAR dataset (INKAR 2009, BBSR Bonn). Average wages on ROR level are calculated using the SOEP regional data (SOEP 2009, DIW Berlin). Average rents on ROR level are calculated using data on BBSR-housing market observations on county level (BBSR-Wohnungsmarktbeobachtungssystem, IDN ImmoDaten GmbH).